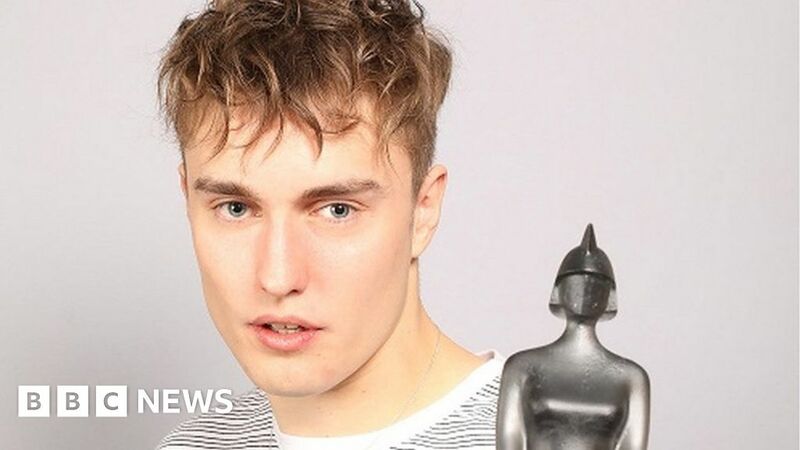 Singer-songwriter Sam Fender has won the Brits Critics’ Choice award, so he is one to watch out for next year. The 24-year-old, who comes from North Shields in Tyne and Wear, beat Lewis Capaldi and Mahalia to the prize. The award is given to an artist which the critics think will be a “future star” in the UK record industry – previous winners include Adele and Sam Smith. “This is very dizzying and wonderful,” Sam told us about his win. He was on the BBC Sound of 2018 list and says it is “pure fluke” that he is now a full-time musician. “My manager Owain (Davies) walked into the pub where I was working,” he explains. At this point Sam’s boss at the pub recognised Owain as being the manager of singer Ben Howard, so he told him to pick up a guitar and start playing. “So I picked a guitar off the wall and sat down,” he says. “He came over and asked if I had any original material. I said ‘Yeah’ and I started playing them. With a surname already well-known in the guitar world (the US company Fender is famous for making guitars), surely his success is fate rather than a fluke? “It is a bit mad,” he laughs. “I wanted to change my name when I first started because I thought no-one is going to believe that it is my name. It may well be nuts but it seems like a bit of an own goal for Fender guitars not to forge a partnership with this up-and-coming artist. And apparently they are way ahead than us on this one, when we asked him about this. “They definitely are. We’ve got a couple of things but I’m hoping after this Brit win we might get a few more things. “I am going to try anyway,” he laughs. Sam says he will be taking his band to the Brits ceremony next year but his family will be cheering him on back home in North Shields. “My dad’s reaction was ‘No, no, no, they must have made a mistake, they sometimes get it wrong’,” laughs Sam. The Critics’ Choice is the first prize to be announced before the official Brit Awards ceremony, which will take place at London’s O2 Arena on 20 February 2019.